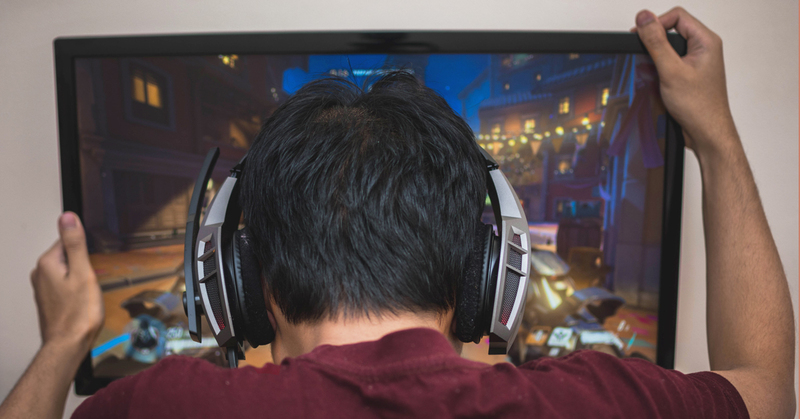 Getting heavily addicted to video games is bad – but have you ever been addicted to spending money for in-game items (also known as microtransactions)? That’s right, we’re talking things like good ol’ MapleStory or Habbo Hotel credits – both of which were the free-to-play (FTP) games of our youth. Welcome to a world where you’re given the option of snagging in-game, exclusive items that have a low chance of being “earned” by dedicating time to your FTP games. One well-known example is League of Legends, where players can spend money in real-life for virtual skins and unlocking heroes the easy way. 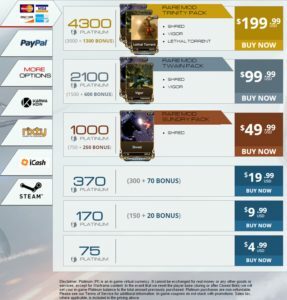 Then there’s Warframe, where you can purchase Platinum – the game’s virtual currency – to buy equipment. What does this mean? It means game companies are giving you games so they can earn money from you at a later stage, when you’re more invested. But can you really blame development teams for cursing you with irresistible in-game items when you’re running yourself broke for them? A friend of mine, Amirah, who’s currently on internship in Vietnam, admitted that she must have spent around $4,500 on in-game items and microtransactions to this day. That’s about… 1,000 packets of chicken rice, if each packet went for $4.50. “I have savings, of course,” she stressed after that staggering revelation. Will sell my soul for Riot Points. But don’t the little things all add up along the way? Small transactions here and there can, after all, snowball into something bigger than you imagined. So I talked with Amirah a little more about her financial habits. 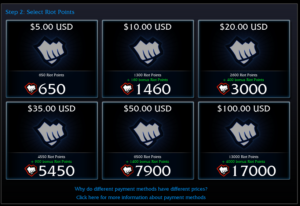 Fellow League player, Jannah, sets aside a fixed budget every month for in-game transactions. And she doesn’t just buy anything. Look, Ma. This is what I’ve done with my life. He’s dabbled with microtransactions and in-game loot for a long time. “Back when I was 13 to 15, I was on parental allowance. My parents didn’t know any better, and neither did I. I used to pace it out, like, save money every week and then blow it on shells whenever I saw a sale up. G for Gacha… or Gambling? To the uninitiated, gacha (or gachapon) is a money tool used in many of Japan’s most successful FTP games. You might recognise the term in reference to those $1 toy machines in malls; gacha games work the same way in that it pulls – at random – a selection of heroes or other in-game loot. She plays various mobile games, including Fire Emblem Heroes, Fate Grand Order, and Marvel Future Fight. During our chat, she brought up three factors she felt determined whether a gacha or mobile game is bordering on gambling or not. Jake thinks gacha games are huge gambles, himself. It should be noted that regulators in the EU (like Belgium’s Gaming Commission) are determined to classify microtransactions as a form of gambling and impose a ban on them. Yikes! 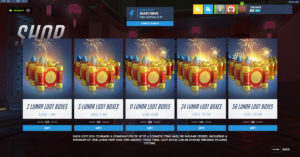 Most of Ana’s purchases involve lootboxes that cost around $10 to $15, “though there are more expensive options up to $40 for guaranteed in-game items.” These are either cosmetic items or items that help to advance or improve the overall game experience. Hmm. Maybe I don’t need lunch this week. It’s interesting that most gamers I talked to – like Ana – all display a measure of self-control and good financial management. Perhaps these habits come from experience – or past mistakes. 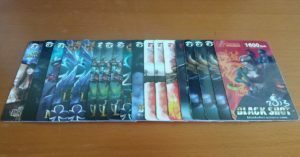 “Such things do help in my social sphere when connecting with friends into the same games,” she added. But you don’t always have to pay for lootboxes or in-game items. Such is the case of Overwatch. Dorey, who’s 20 and works in retail, quotes around $100 to $120 (USD) for their expenditure so far on the game, “mostly if there’s an event skin or item that I love (which is often).” In Dorey’s case, they don’t always have the time to grind it out on the game to get lucky with free lootboxes (that are given to players every time they level up or complete certain events). And it really is up to the individual how much they’re willing to spend on lootboxes and in-game stuff. Ultimately, it all boils down to great financial habits and a sense of control when your salary comes in. This is why everyone’s raving about budgeting tips like paying yourself first and splitting up your salary using the 50/30/20 method. If you’re able to save money well, you won’t have to worry about going broke just because you really wanted that S class hero. And lastly, for parents with kids who play these games, it’s probably wise to keep a close eye on things. How much do you spend on video games these days? Let us know the jaw-dropping amount!